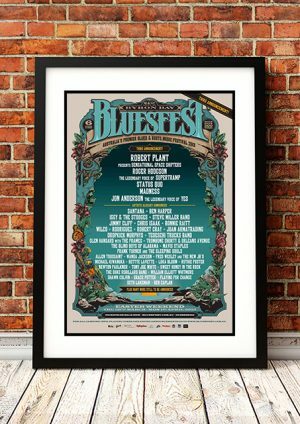 Classic Robert Plant Band Concert Posters and Memorabilia! Buy Online Now! In 1968, a naïve young singer from the Black Country hills in England named Robert Plant was discovered wailing the blues by veteran session guitarist Jimmy Page and bassist/keyboardist John Paul Jones. When Plant recommended his friend John Bonham as the drummer, one of the most successful bands in rock history was born: Led Zeppelin. But the group that started with such force also ended in flames after 12 years, as Bonham‘s death from alcohol poisoning in 1980 split the band after nine albums. The remaining members went their separate ways, but Bonham‘s death hit Plant particularly hard. Starting his solo career in 1982 with his Zeppelin-like Pictures at Eleven album, Plant would use a slew of great drummers over the next few years, including Phil Collins, Cozy Powell, Barriemore Barlow, and Richie Hayward. But the singer would feed his Elvis Presley infatuation on 1984’s The Honeydrippers, Vol. 1, teaming with Page and other guests on influential roots rock material. 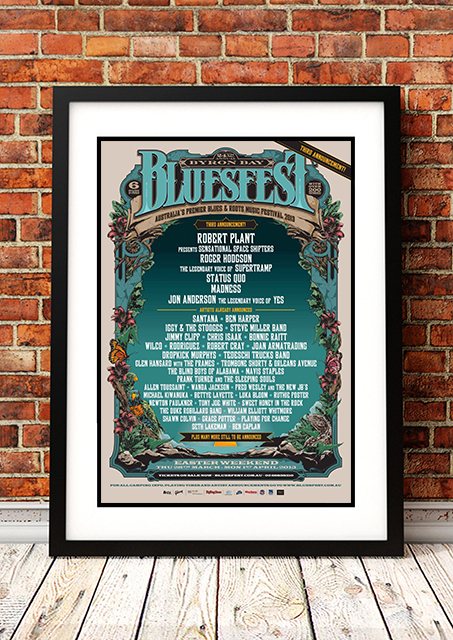 We stock some awesome Robert Plant Band Concert Posters.